FREE E-cookbook and Newsletter Sign-up! 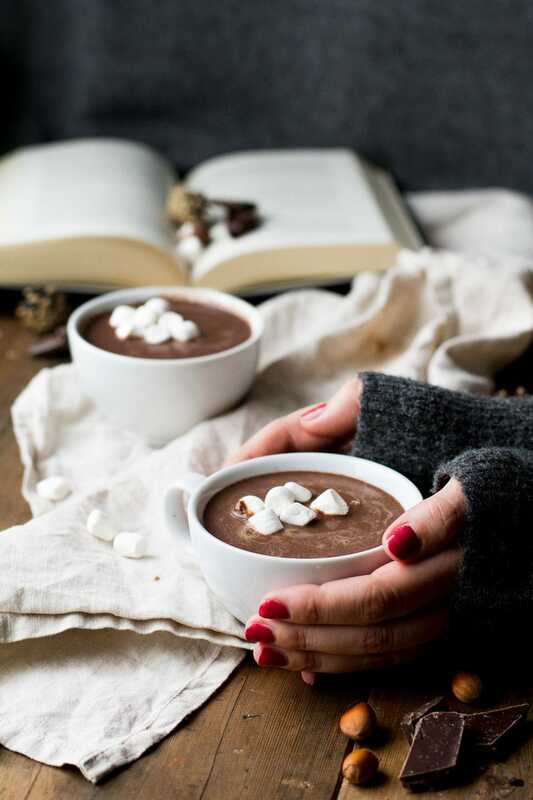 Nothing beats a Warming Rich and Decadent Hot Chocolate on a cold Winter day. It may be dark and cold outside, but holding that warm cup, sipping the liquid gold, everything is just better. It’s rich in chocolate flavor, made with a few real ingredients and very simple to make. So I am the type of girl that loves ‘bad’ weather (although in Norway we say there doesn’t exist bad weather, only bad clothing – which is true). 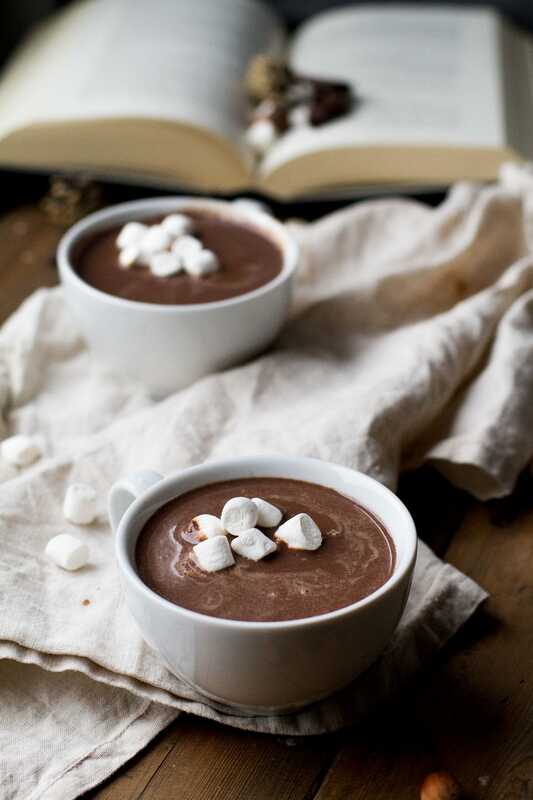 I say this because that day is the perfect excuse for a warming rich and decadent hot chocolate. Everything is dark, and we need something to comfort us. YAY. As I live in a rainy part of Norway, I just can’t do it during all dark and rainy days. However, I do it a lot. I just can’t bear the thought of making that instant cocoa powder mixed with hot water. I simply don’t see the point in it. If you are going to drink your calories – drink super tasty calories! And this is my go-to-bad-weather drink! What we need is dark chocolate, milk (preferably whole), unsweetened cocoa powder, vanilla and perhaps more sugar if you prefer. That is it. When making hot chocolate with real chocolate, we need to keep the temperature down. Medium-low, as to not burn it. In a medium saucepan, on medium low, stir the dark chocolate with milk. Once it’s melted, add in the rest of your ingredients. I’d suggest adding 1 tbsp of unsweetened cocoa powder, give it a taste – too bitter? Add a little sugar. Not rich enough? Add more unsweetened cocoa powder. Stir in vanilla extract or vanilla bean sugar if you like. Serve with whipped cream or marshmallows. Get yourself a cookie and read a book while watching the weather outside. Also, don’t forget to Pin it for later! In order to keep the blog up and running this post contains affiliate links, it will be at no extra cost to you, please read the disclosure for more information. 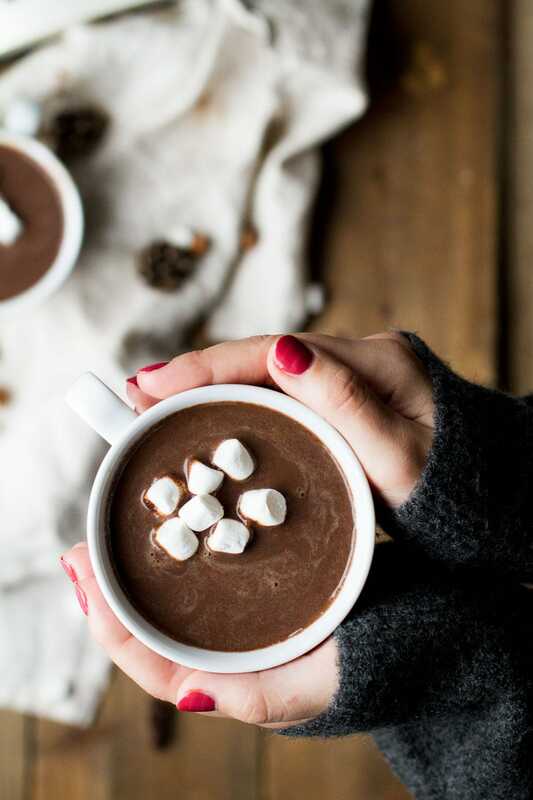 Nothing beats a Warming Rich and Decadent Hot Chocolate on a cold Winter day. It may be dark and cold outside, but holding that warm cup, sipping the liquid gold, everything is just better. In a medium saucepan, on medium low, stir the dark chocolate with milk. Once it's melted, add in the rest of your ingredients. I'd suggest adding 1 tbsp of unsweetened cocoa powder, give it a taste - too bitter? Add a little sugar. Not rich enough? Add more unsweetened cocoa powder. Stir in vanilla extract or vanilla bean sugar if you like. Warm up, but not boil. Serve with whipped cream or marshmallows, if desired. Did you make it? Tag @thegingerwithspice / #gingerwithspice on Instagram, I'd love to see! I love hot chocolate, especially really rich and thick. I like to add a little kick to mine, like cayenne pepper or cinnamon. I love that too! Adding orange and cinnamon is also amazing. This looks delicious. Will definitely give this recipe a try. Thank you, I hope you will like it! It is that time for warming, hot drinks. Nothing is better than coming in from the cold and having a nice big mug of hot chocolate. Perfect for sitting and reading a book with. Yes, it’s definitely that time. Hope the weather treats you nicely this year. Oh man oh man!! This look SOOOO delicious!! I want to go make some RIGHT NOW!!! Saving! Thank you so much, Anna!! Any chocolate lover will love this! Nothing is tastier than hot coco on a rainy day! 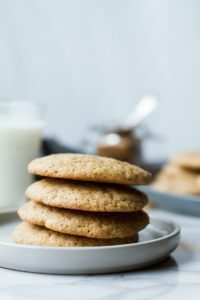 Would this recipe work with oat milk or almond milk? These pictures are gorgeous!! Definitely testing out this recipe! This looks and sounds fantastic, perfect for the cold and wet winter ahead of us here in the UK too. And of course, marshmallows are a MUST! I have been thinking of hot chocolate lately, yours looks so warming and chocolately . I would love a cup. Then I think it’s time to make a cup! Thank you so much Jere Cassidy. 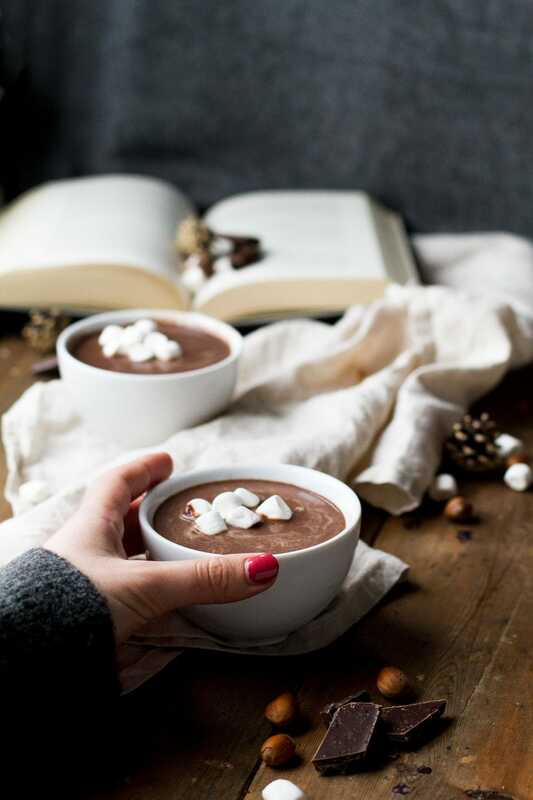 Who doesn’t wish that they could curl up with a rich cup of hot chocolate this winter ? I love the richness of yours. I know right, it’s so lovely! Thank you very much. 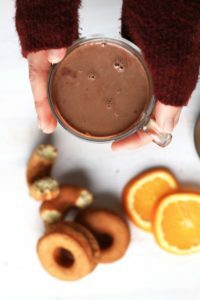 No doubt this hot cocoa looks decadent and comforting. 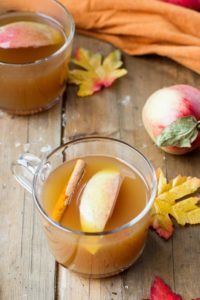 In Florida, temperatures have dropped, and I have been carving hot beverages since yesterday I need to make this recipe at home. I am buying all the ingredients tomorrow! Yay! Hope you’ll like it! OMG, this is making me drool and craving for this right now. One of my favorites but I never tried at home. Would love to try your version as it is so so tempting and perfect. omg are you in for a treat!! I love making all kinds of hot drinks at home. Thank you for you comment, Renu! Even your photos are warm and comforting and so beautiful! Love the sound of adding marshmallows! Yum! Thank you so much! Marshmallows are delicious with hot chocolate, I think I will make my own version of it soon! This looks so incredible and warming! I’m sure we have nothing on your bad weather here in Nebraska, but all the same I’ll be drinking this when the temperatures drop below 0! Liquid gold is the perfect description for this warm cup of hot chocolate. It is the perfect balance of chocolate and milk. Ahh thank you so much for that! So true! 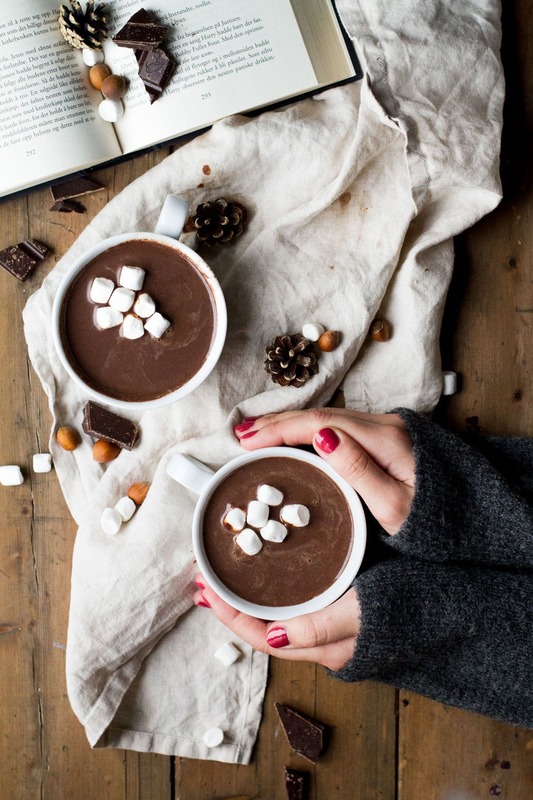 Nothing can beat a cup of hot chocolate in winter. Your photos are stunning! I imagine myself drinking it late night near the window watching the snow piling up outside… Such a great feeling! You painted a beautiful picture, April, that does sound amazing! Thank you so much. That hit chocolate looks seriously delicious, and your photos are gorgeous as always! I can’t wait try drink this all fall and winter long. Thanks for sharing! Ahh thank you so much, dear! Yes, exactly – so easy. Thanks, Ingrid! This. All of this. So my boyfriend and I are staying in tonight to binge The Haunting of Hill House, AND I have all of the ingredients to make this. BEST SATURDAY NIGHT EVER!!! PS: These photos are gorgeous. That sounds like the best Saturday ever! I’m too much of a sissy to watch scary stuff, but other than that, I would definitely join! I could bring cookies… 🙂 Thank you so much, Krista. Hot chocolate is my daughter’s favorite drink in the winter. I love making it at home versus the store-bought pre-packed kind. This recipe looks amazing! 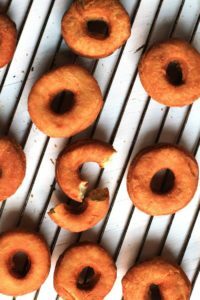 Now I only use the store-bought when I’m out hiking or cross-country skiing, it’s just too easy and much better to make yourself! Thank you very much, Anna. Oh my….can I have a big pot to myself? 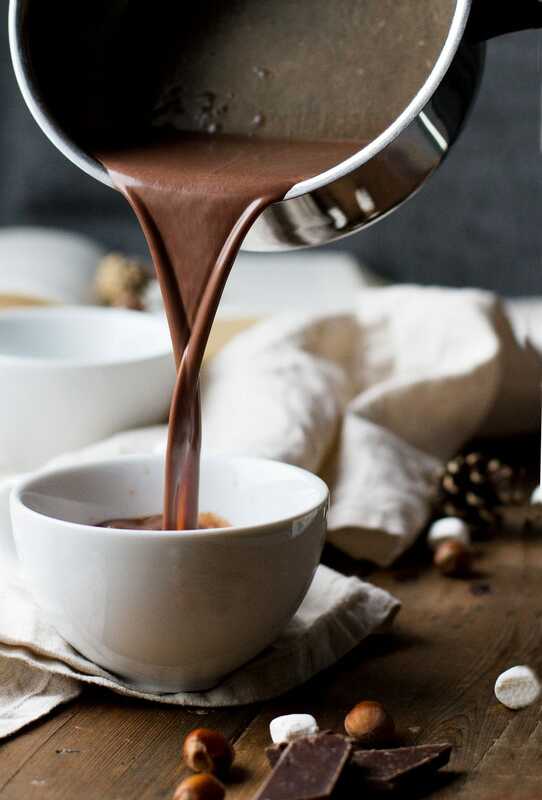 I love hot chocolate and my favorite includes Baileys; however yours sound so good and I love the combination of dark chocolate and milk chocolate. Oh yes you can! I have a tendency to drink half of this recipe myself, then save the rest for the next day – whoops. 🙂 Adding Baileys is also super delicious, and a little coffee! 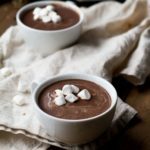 WOW – with both chococlate and cocoa powder that is one thick and rich bowl of hot chocolate – ooh I could dive into that one! I love my hot chocolate rich and chocolatey. Thank you so much, let’s dive into it! Your photos are killing me – they are STUNNING! 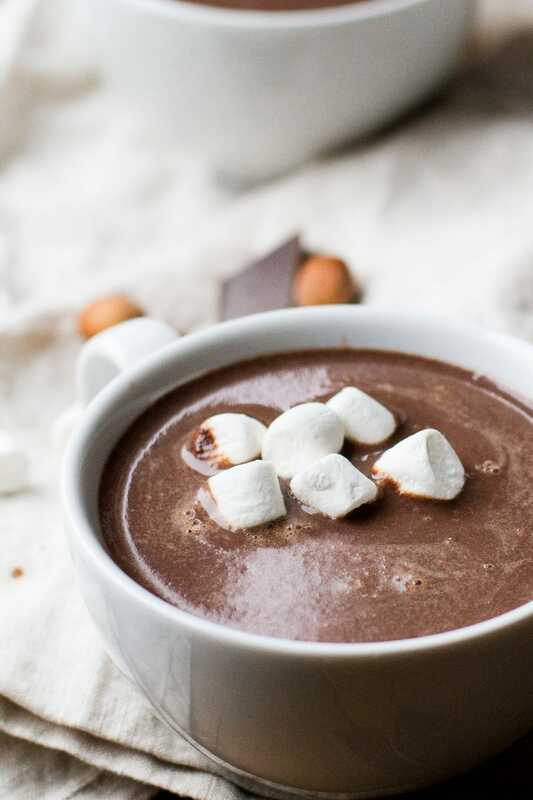 I can’t wait to make some of this rich hot chocolate goodness! Thank you so much, Stephanie! I was rather happy with this set of photos. Finally got a person to be my hand model haha. Hope you’ll like it! 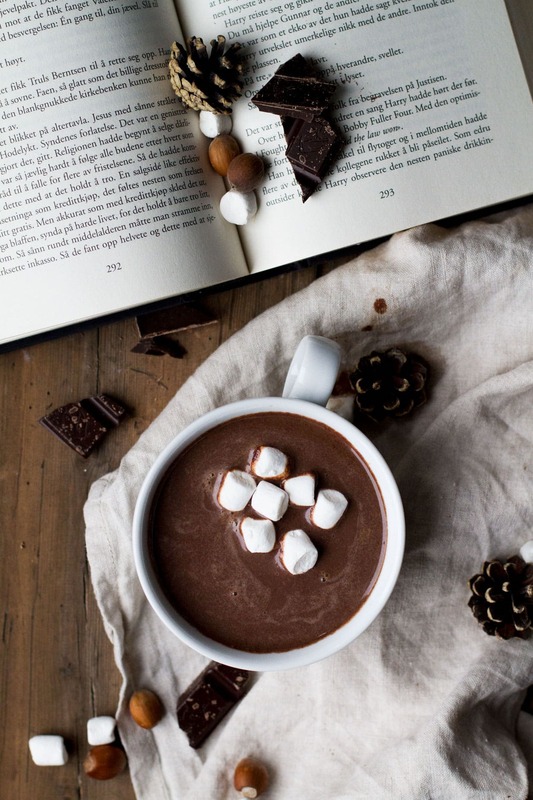 Oh, I want to make hot chocolate this afternoon while it’s cold and rainy outside. I think I have everything for this recipe, so yummy! Go ahead! This is my go to hot chocolate, and now I am just waiting for that cold and rainy day.. Thanks Alexis! Get your FREE e-cookbook ‘Travels Through the Seasons’ right here! Subscribe to my newsletter and get a FREE e-cookbook filled with super flavorful recipes for each season! Add contact@gingerwithspice.com to your address book to make sure you receive it! You may unsubscribe at any time. My name is Stine Mari and I am the ginger with a touch of spice, and I love ginger and spicy food. However, you will find all sorts of dishes here – from healthy to comfort, from sweet to spicy and everything in between. Click here to read more! Copyright © 2019 by Stine Mari Fiskerstrand. 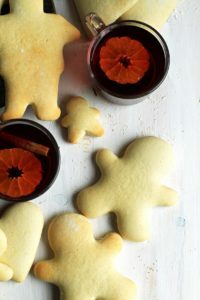 All content, recipes and photographs are copyrighted to Stine Mari Fiskerstrand and are the property of Ginger with Spice, if not otherwise stated. They may not be republished in part or whole without written permission of the publisher and proper credit.